CHENNAI, India --- L&T MBDA Missile Systems Limited (L&T MBDA) is leveraging its strong parentage to bring in world class guided weapon systems technology for the Indian Armed Forces under the ‘Make in India’ initiative with a clear objective of indigenously developing, manufacturing and supplying highly advanced missiles and missile systems. -- 5th Generation Anti-Tank Guided Missile (ATGM 5): This is the only 5th generation ATGM missile with substantially advanced features vis-à-vis other 3rd and 4th generation ATGM missiles. The missile is offered under the Buy (Indian – IDDM) procurement category for the Indian Armed Force. 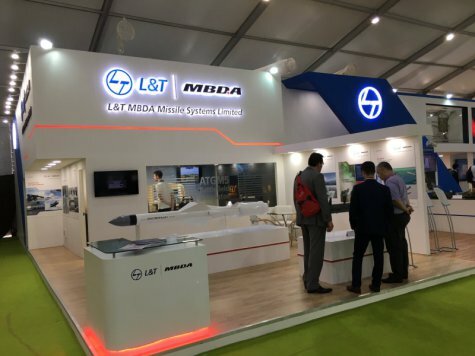 ATGM5 is making its public debut at Defexpo 2018, where a model of the missile will be displayed on the L&T MBDA stand and where its operational advantages will be demonstrated using a fully functional simulator. -- Medium Range Anti-Ship Missile System: The JV has offered the latest generation anti-ship missile system under the Buy and Make (Indian) Category for the Naval Surface Platforms requirements of the Indian Navy. MBDA is the only European group capable of designing and producing missiles and missile systems that correspond to the full range of current and future operational needs of the three armed forces (land, sea and air). With a significant presence in five European countries and within the USA, in 2017 MBDA achieved revenue of 3.1 billion euros with an order book of 16.8 billion euros. With more than 90 armed forces customers in the world, MBDA is a world leader in missiles and missile systems.